His personal financial information is more scrutiny now that he is the front runner in the 2020 Democratic presidential primary. His taxes will also reveal any information about his wife's income, especially during her tenure as president of now-defunct Burlington College. Questions persist around Jane Sanders' controversial leadership of Burlington. A federal investigation into a land deal involving the university was closed with no charges filed. The senator released only a single year of tax returns during his 2016 presidential bid, from 2014, while his opponent Hillary Clinton released eight years of returns. Sanders also delayed filing his presidential campaign personal financial report with the Federal Election Commission, asking for two extensions, and ultimately never filed after losing the nomination to Clinton. %, the group of wealthy Americans rails against in campaign stops, grossing an income of over $ 1 million. Sanders admitted he was a millionaire to the New York Times on Tuesday, saying "I wrote a best-selling book. If you write a best-selling book, you can be a millionaire, too." The Sanders campaign did not answer questions about his income for this story. Sanders made $ 125,100 when he first started as a member of the House of Representatives in 1991, according to report on congressional salaries compiled by the Congressional Research Service. Congressional salaries climbed slightly through the years. His pay was $ 165,200 when he was elected to the Senate in 2006 and has steady at $ 174,000 since 2009. In recent years, he has received an annual pension of about $ 5,000 from the city of Burlington for his time as mayor, according to Senate Financial Disclosure Report forms. Sanders' income topped $ 1 million for the first time in 2016, when he ran for president. His Senate disclosure forms show that he made $ 868,005 in royalties in 2016, the year he published "Our Revolution," which made the New York Times Best Sellers list. Sanders made another $ 880,630 in royalties in 2017, mostly from "Our Revolution" and another new book, "Guide to Political Revolution." He also published a book in 2018, "Where We Go from Here: Two Years in the Resistance," but 2018 numbers haven't been released yet. Sanders bought a Capitol Hill row house in 2007 for $ 489,000 and a Burlington home in 2009 for $ 405,000, according to property records. In 2016, he bought a vacation home in North Hero, Vermont, on Lake Champlain, paying $ 575,000 through a trust called the Islands Family Trust. 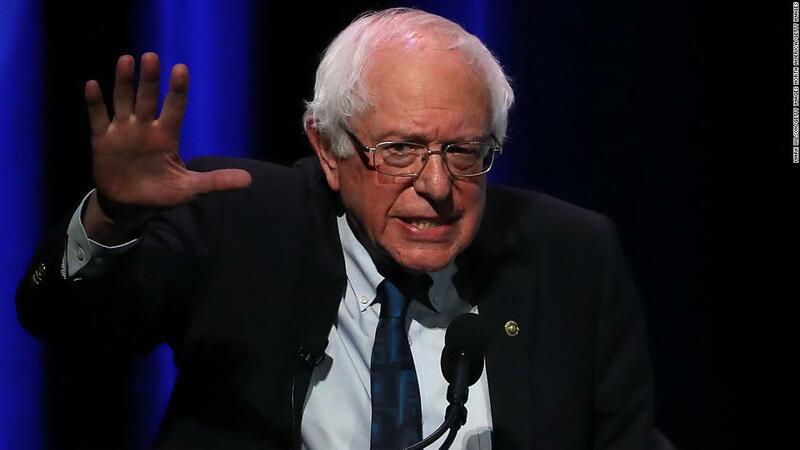 The property experts say a trust allows families to purchase financial information and can help them avoid legal costs, although the details of Sanders' trust are not publicly available. Jane Sanders holds mutual funds through her retirement plans. Because Senate disclosure forms reveal only a range, the exact amount is unclear, but the value is listed at $ 176,029 to $ 766,000. Bernie Sanders had thousands of dollars in credit card listed on his disclosure forms until 2016. As of 2017, Sanders has two outstanding mortgages: one valued at $ 250,000 to $ 500,000, and the other at $ 100,000 to $ 250,000. $ 121,000 a year when he leaves the Senate, according to a formula provided by the Congressional Research Service.